Many of my clients ask me what is better a line of credit or a credit card. Like most forms of credit each has it’s own pros and cons, and each has its own appeal to people in given situations. While each has similarities, each also has vast differences. Lets break down each shall we? * In order to receive a line of credit your income will be and must be verified. You also typically need to have had stable employment for a length of time as determined by the lender. * Lines of credit are handy but the money is not easy to access, you tend to need to walk into a financial institution or have a check mailed to you. * Personal Lines of credit tend to have much higher limits then credit cards. * As a rule of the thumb these tend to have lower interest rates than credit cards do. * It is harder to obtain a line of credit than it is a credit card due to the stringent underwriting used by lenders for personal credit lines. * Interest accrues from the date of withdrawal or purchase, and there is no grace period unlike a credit card. * Personal lines of credit tend to carry fees, but these fees vary by lender. The fees you will face will be in the contract or fine print and can include access fees, annual fees, and late payment fees. * Can be used to pay merchants who do not take credit cards. * You can withdraw up to 100% of your available credit as cash with no fees unlike a credit card, making this form of credit ideal if you need a cash infusion. 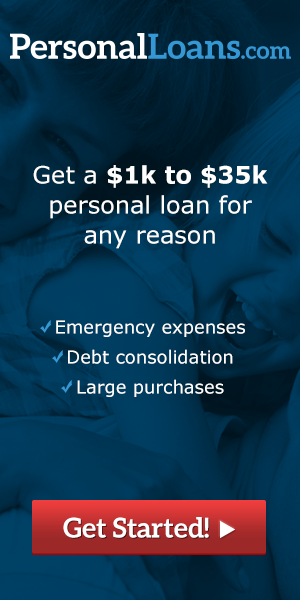 * Easier to obtain than a personal line of credit. * Higher interest rates and APR then personal lines of credit. * Cash advances have high fees and limits, not to mention higher interest rates. Cash advances tend to be limited to 20% of credit limit. * Income is not always verified so you could end up getting a decent credit limit even on lower income. * Credit limits tend to be lower than personal lines of credit. * Feature a grace period, so you can borrow, pay the money back in full before grace period is over and owe nothing. * The better credit cards on the market have rewards programs where you can earn money just for using them. * Are not accepted everywhere due to the fees that merchants get charged for accepting them. Car dealerships also do not take them. * Make online shopping safer than using a debit card that has your bank account attached to it. Credit cards are good for those who wish to shop at stores and need a temporary loan, if the balances are paid in full before the grace period it is an interest free loan. You can also earn decent rewards using your credit card, provided you apply and qualify for a rewards credit card such as the Citi Doublecash card. Personal lines of credit are perfect for businesses that need a occasional cash infusions, and for people who need cash advances. Personal lines of credit are also useful in place of a personal loan for such things as emergency house repairs or car repairs. If you are asking which is better a personal line of credit or a credit card, my advice is simple, have two or three credit cards on hand and if you qualify for a line of credit open one but do not use it unless needed. You can have multiple lines and forms of credit, there is no hard rule that says you can only have one or another, and both forms of credit have their unique positive benefits. This entry was posted in Uncategorized on April 6, 2015 by .